A perfect dealership that houses everything you need during the car buying process is hard to come by. However, it’s still crucial to ensure a successful and positive buying experience. Unfortunately, with dealerships expanding and popping up everywhere in Mission Viejo, Rancho Santa Margarita, and Newport Beach, it can be hard to separate the dealerships that are just looking for a sale, and the dealerships that genuinely want to help like Norm Reeves Volkswagen Superstore in Irvine. So below is some of the qualities of the perfect dealership to keep in mind when you’re buying a brand new car. It doesn’t matter if you’re a veteran car buyer or a first timer, you always want to go to a dealership that has a large selection of vehicles both new and used. Doing this, you’ll get a myriad of cars to test drive so you know exactly how perfect a vehicle is for you. Plus dealerships like Norm Reeves Volkswagen Superstore in Irvine with a large inventory is ensuring you find the perfect car, and not just settling on one you don’t really love. Everyone should have an opportunity to get great financing options when they buy a vehicle from a dealership. Unfortunately, not every dealership has a finance department that strives to help you. So what you can ask the next time you take a trip to a dealership is if it works with trusted lenders to give you affordable plans and options. If they don’t, walk out and head to Norm Reeves Volkswagen Superstore in Irvine. Here, you’ll not only get great options, but the finance department is willing to work with everyone regardless of their credit score. Almost every dealership has a service center. However, you should be looking for a dealership with a great reputation like the one found in Norm Reeves Volkswagen Superstore in Irvine. 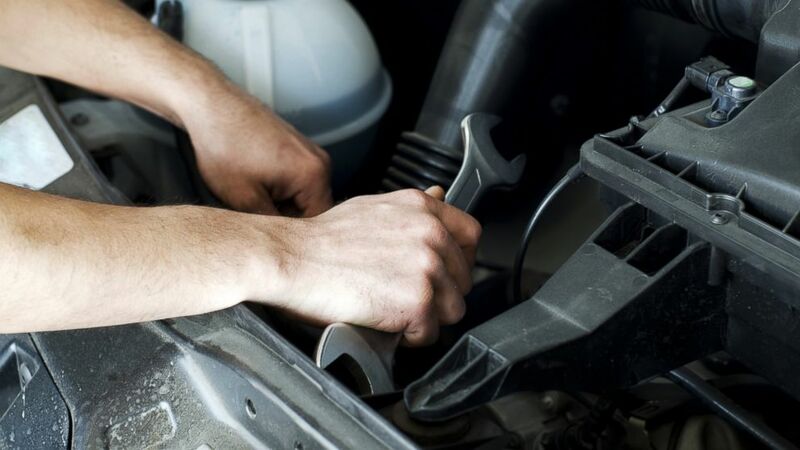 These dealerships have employed highly trained technicians and staff to properly diagnose, service, and repair any troubles your car maybe having. Plus, these service centers contain the most up to date tools and technologies so you rest assured knowing your car is in trusted hands versus stressing about it as some mechanic with no credentials attempts to fix your car. The most important factor to look for when searching for the perfect dealership is the location. Finding a dealership in a convenient and close location guarantees that you’ll not only get home to show off your new car faster, but also, you won’t spend more time driving when you need servicing and repairs. Norm Reeves Volkswagen Superstore in Irvine is located in a perfect location within the Irvine Auto Center. It’s just minutes away from all areas in Orange County and perfect for those living in Newport Beach, Rancho Santa Margarita, and Mission Viejo. So if you’re looking for the perfect dealership, stop by Norm Reeves Volkswagen Superstore in Irvine to find your perfect vehicle today. So if you are in the market for a new car, be sure to stop by and schedule a test drive today. The Irvine Auto Center and Norm Reeves Volkswagen Superstore in Irvine is located by “El Toro Y,” right off the freeway where the I-5 freeway meets the 405 freeway.